Luigi was originally going to be a playable character but later on I decided not to include him due to dialogue issues and the HUD. If I can find a workaround I may consider adding him though. Topic: Is there a way to disable NPCs colliding with each other? It was the SM3DW coin sound effect causing it. *You used the Dog Residue. The rest of your inventory filled up with Dog Residue. 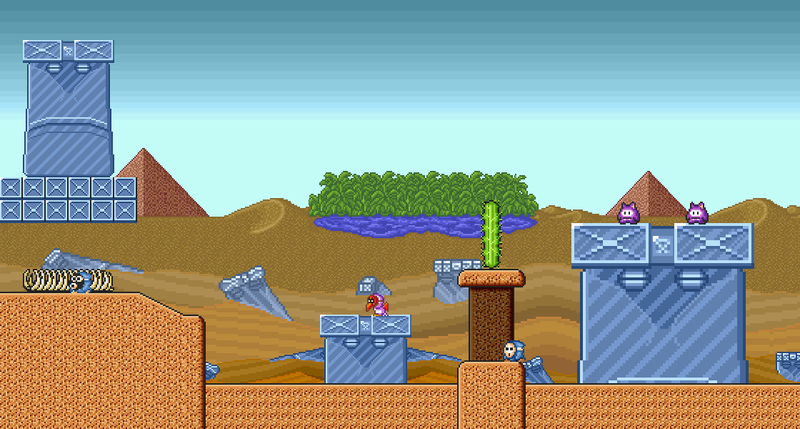 This may sound a bit picky, and I don't know where else to post this, but I need a thwomp to break only one brick at a time when it falls down to try and hit the player. Topic: How do I use the tileset editor? Re: How do I use the tileset editor? This looks like it's going to be a really good episode! How do I use the tileset editor? The built-in tileset editor is so confusing, I don't even know how to put in a block. So could anyone help me by chance? I'm not in a very good spot with real life stuff to make a level, but I'll try to. 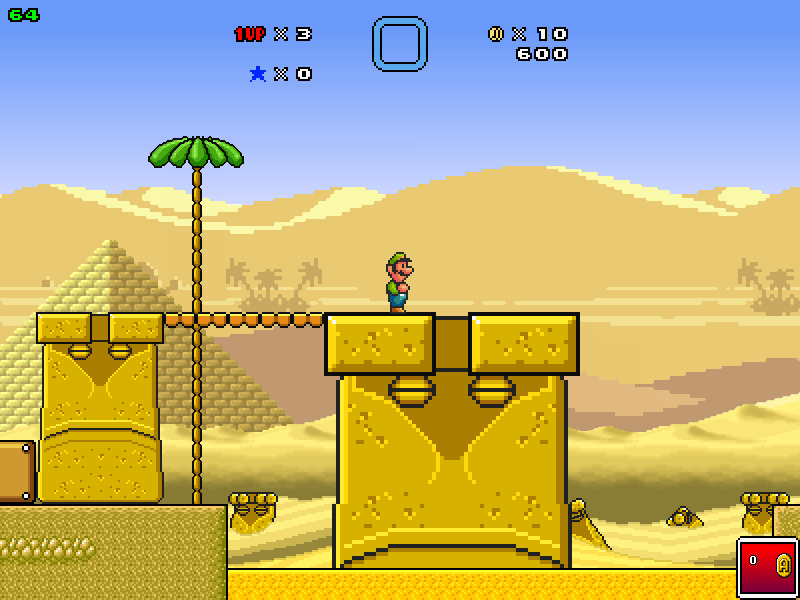 Sorry about the SMB flag in my level, it came straight out of my episode. I need playable 8-bit Mario and Luigi sprites for an upcoming project that I am making. I only need the 1-3 sprites. Dayum, those look really neat. Did you make those, or did you find them somewhere? Yave Yu wrote: Minigame "Shoot Brick"
I wonder if it would be possible to make something like Galaga using part of that script.